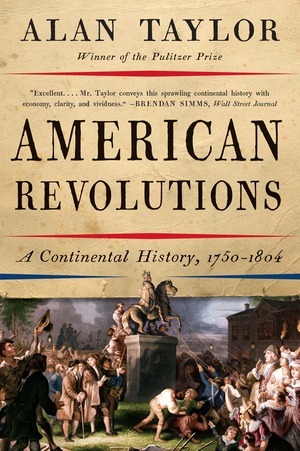 The American Revolution is often portrayed as a high-minded, orderly event whose capstone, the Constitution, provided the nation its democratic framework. Alan Taylor, a two-time Pulitzer Prize winner, gives us a different creation story in this magisterial history. The American Revolution builds like a ground fire overspreading Britain’s colonies, fueled by local conditions and resistant to control. 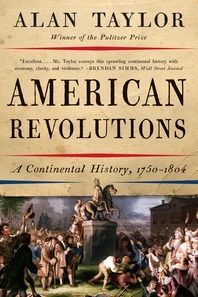 Emerging from the continental rivalries of European empires and their native allies, the revolution pivoted on western expansion as well as seaboard resistance to British taxes. When war erupted, Patriot crowds harassed Loyalists and nonpartisans into compliance with their cause. The war exploded in set battles like Saratoga and Yorktown and spread through continuing frontier violence. The discord smoldering within the fragile new nation called forth a movement to concentrate power through a Federal Constitution. Assuming the mantle of “We the People,” the advocates of national power ratified the new frame of government. But it was Jefferson’s expansive “empire of liberty” that carried the revolution forward, propelling white settlement and slavery west, preparing the ground for a new conflagration.